Posted on July 17, 2015 at 3:37 am. Love cricket as much as you love the pokies? Jackpot City is combining these two great Aussie pastimes with a promotion of a different kind, giving registered players the chance to win free spins based on the amount of runs that the Second Test in the 2015 Ashes is won by. Whether you’re a fan of The Ashes or not, no cricket knowledge is required to be in the running. All you need to do to be in the draw for free spins is sign into your Jackpot City Casino account and head to The Ashes banner in the promo section of the casino lobby. Only one entry is allowed per player and by submitting your answer you’ll automatically go into the prize draw. The winning draw will be determined by the actual real life results of the Second Test in the 2015 Ashes cricket series, with Australia VS England. The Second Test is scheduled to run from July 16th to end on July 20th, with Jackpot City’s Ashes promo running for as long as the promotional banner remains on the site, so get cracking to avoid missing out. Just how many lucky winners there are won’t be known until the Second Test is through, as the amount of winners will be based on the total amount of runs scored during the Second Test. 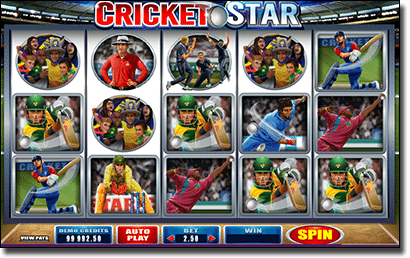 For every 100 runs scored during the game, one lucky player will become a winner. The exact amount of free spins awarded will be based on the total amount of runs divided by the total amount of winners and rounded up. Winners will be notified via phone or email within 72 hours of completion of the Second Test, so when you enter the competition it wouldn’t hurt to check your registration details to ensure your contact information is up to date. Aussie cricket fans can watch The Ashes live on Channel Nine’s Gem or on the Cricket Australia App. The Second Test is being held at Lord’s in London, with the First Test recently wrapping up in Sophia Gardens, Cardiff. Australia and England have a long history of close games, with Australia winning the 2014 Ashes Series and hoping to take the title for two consecutive years. During 2015’s series so far, England won the First Test, so it remains anyone’s game. While we’re backing the Aussie’s 100%, the real winners will be the recipients of Jackpot City’s free spins promo, with the chance to strike it rich on the pokies. Land a lucky spin and you just might be cashed up enough to attend next year’s Ashes series in the flesh. If you’re not yet a member at Jackpot City, follow our links to register for a new account and take advantage of an enticing welcome package that includes up to $1,600 free in matched deposit bonuses. Jackpot City has recently added a bunch of new pokies to its repertoire including Hot as Hades, Hound Hotel, Kitty Cabana, Pistoleras, Legend of Olympus and Ariana, all playable for real money wagers. What if I can’t sign up at Jackpot City? If you cannot sign up at Jackpot City due to their regional restrictions, don’t fret, as there are dozens more top-rated online casino sites catering to players from your region. If you are playing from United States, one of the best choices to consider is Bovada Casino. They host similar promotions and giveaways to Jackpot City daily, weekly and monthly, and host hundreds of the Web’s best real money online pokies and table games.